Hotel Overview Hotel “Moni” is situated in the central part of Primorsko. There is a sandy beach only 200 m to the south and 350 m to the north from the hotel. 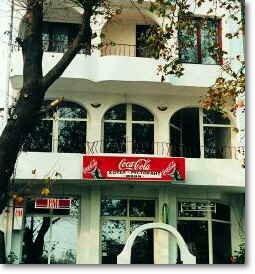 “Moni” welcomed first guests in 1998. Accommodation is offered in 2 apartments / 2+2 /, 6 mini-apartments and 6 double rooms. Most rooms have sea view, all have sanitary unit / WC and bathroom /, terrace and fridge. Apartments are situated on 70 m2 each and have bedroom, dining room, salnitary unit, terrace, fridge, colour TV.